The publication by Dr. Wood at Harvard was: Journal of Spinal Disorders & Techniques. 17(6):511-515, Dec 2004. The publication by Dr. Doursounian was: Coccygectomy for instability of the coccyx. Doursounian L, Maigne JY, Faure F, Chatellier G.Int Orthop. 2004 Jun; 28(3):176-9. 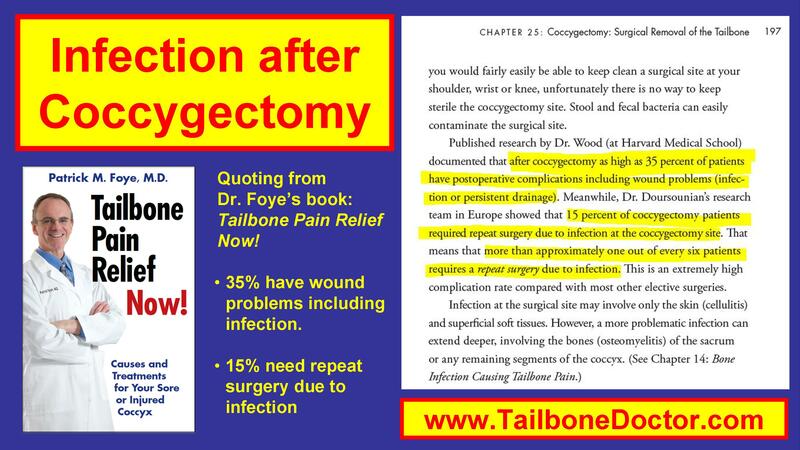 Infection after Coccygectomy, Quoting Dr Foye’s book, Tailbone Pain Relief Now! 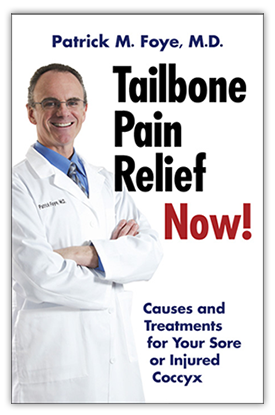 Note: There are many studies, some with higher or lower rates of success (relief of pain) and some with higher or lower rates of of infection and rates of repeat surgery being needed. 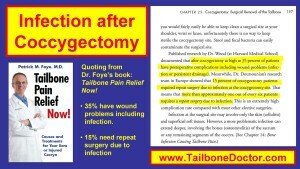 This particular online article is not meant to be a list of every study ever published on infection after coccygectomy. Instead, it is explaining the published statistics that Dr. Foye was referring to in that chapter of his book.